By H. A. Guerber. 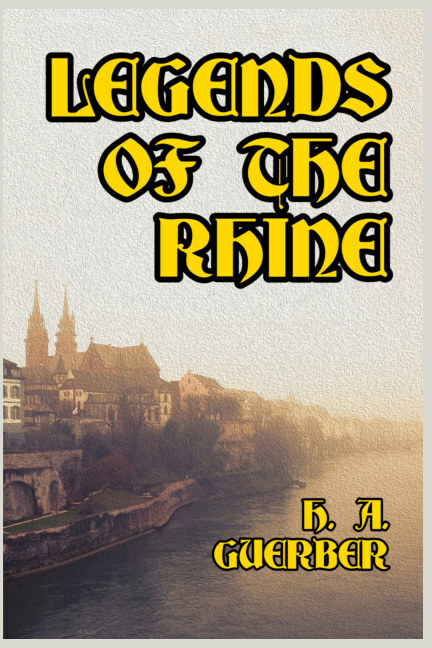 The finest collection of myths, sagas and adventures to emerge from Germanic mythology are captured in this classic work. 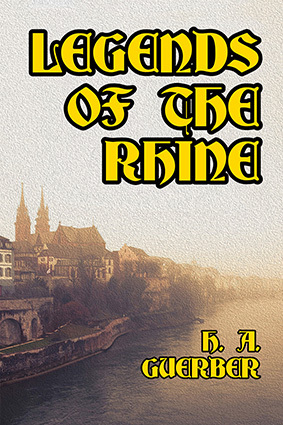 Tracing the route of the mighty Rhine River, the reader will delve into some of the greatest legends ever to emerge from Germany in the Middle Ages, superbly retold in English by master mythological storyteller Hélène Guerber. Explore the original stories of the Sunken City, the Beggar’s Curse, the Swan Knight, the Prince’s Vow, the Story of Siegfried, the Devil’s Wager at Cologne, the Eleven Thousand Virgins, the Magic Ring of Aix-La-Chapelle, Roland’s First Adventure, Clovis’s Vow, the Legend of St. Genevieve, the Last of the Templars, Barbarossa’s Beard, the Altar of Bacchus, the Robber Knight, Charlemagne and Elbegast, the Devil and the Rooster, Barbarossa’s Sleep, and many, many more. The reader will discover that so many traditional and well-loved tales have their origin in these Germanic myths—for example, the story of Sleeping Beauty comes from one of the Siegfried tales, as evident from this magnificent book. This is a vital work for anyone wishing to understand and appreciate high Middle Ages culture, and its impact upon German, French and English cultural expressions right to the present day. This new version has been fully reset, re-illustrated, and had its index modernized. Hélène Adeline Guerber (1859–1929) was a multilingual British historian who won fame for her dramatic retelling of Germanic, Norse, and Greek mythology. She also produced highly sought after works on ancient Greece, Rome, the Renaissance, the Reformation and the founding of the Thirteen Colonies in North America.